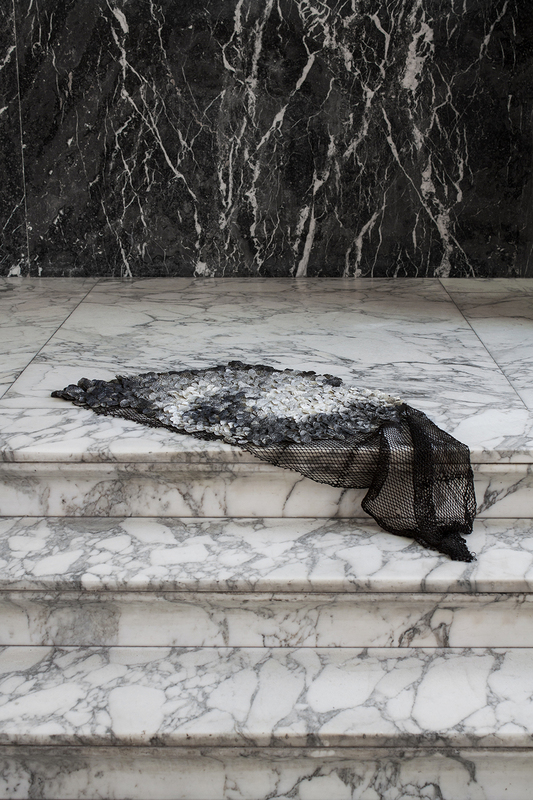 Some months ago we wrote about Nienke Hoogvliet and her blanket collection. This collection was inspired by skin and a feeling of protection. Another project she worked on is called SEA ME. 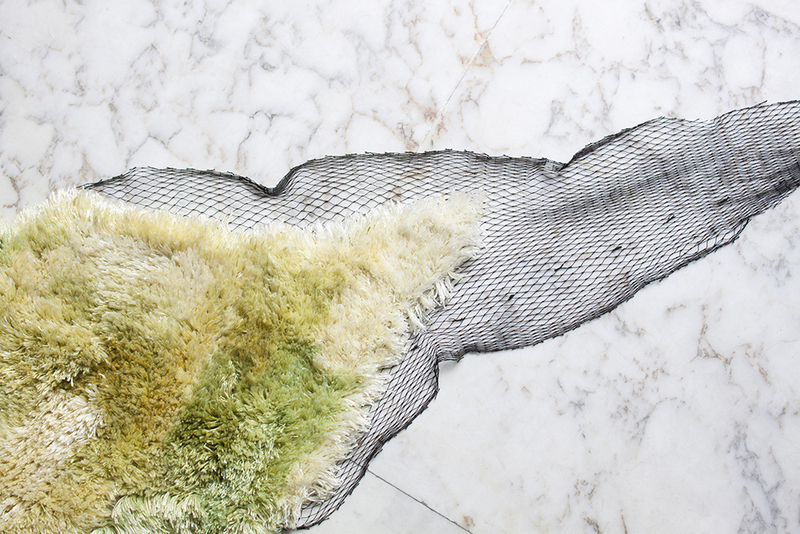 SEA ME is a rug made of sea algae yarn, knotted by hand in an old fishing net. Nienke wanted to draw attention to this rather new material. 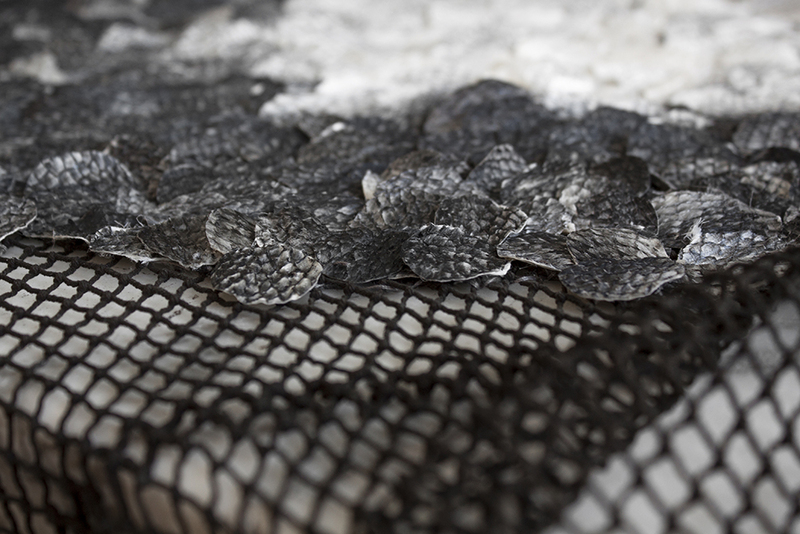 A yarn made of sea algae could perhaps offer a solution for the sustainability issues in the textile industry. Sea algae grow much faster and need less nutrients then cotton for example. 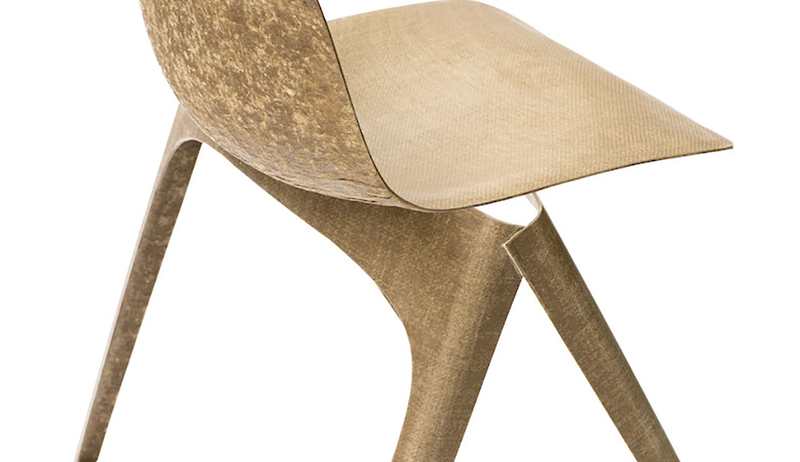 After this discovery, Nienke wanted to do more research to increase the usage of sustainable materials in the industry. She discovered that fish skins are a waste product of the fishing industry, while you can also make them into beautiful leather. This was the start of RE-SEA-ME and shows the duality between plastic waste in the oceans and the sustainable materials the oceans have to offer. Nienke went to fish shops to collect their waste and discovered a way of tanning the skins without any chemicals. 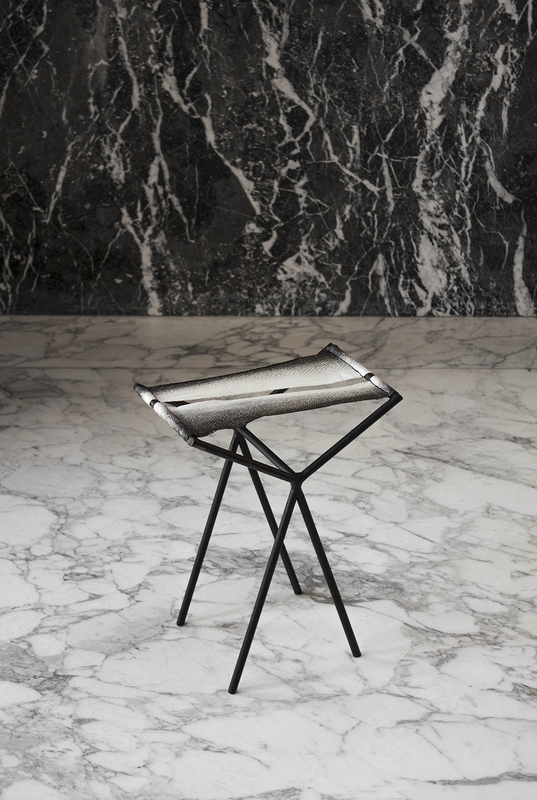 By using an old technique, that requires a lot of manual labour, she created a strong, sustainable and beautiful material that can be used like regular leather. 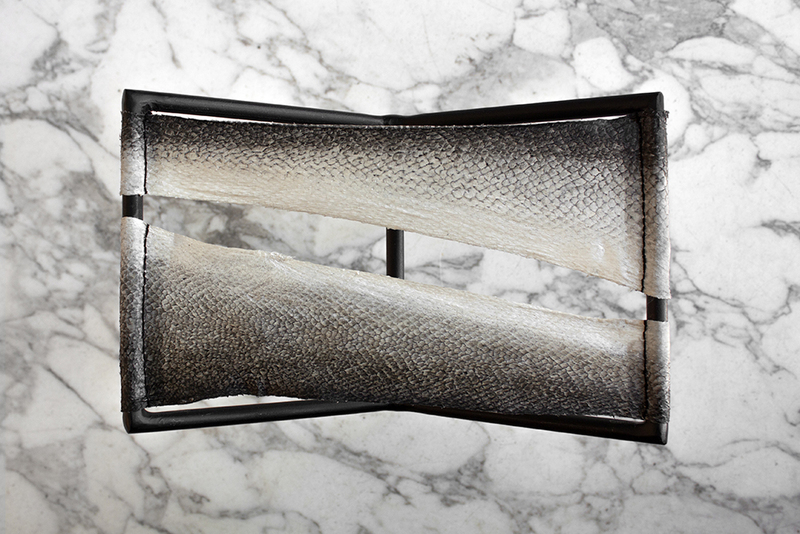 To show the abilities of the leather, Nienke designed a small stool with fish leather seating. 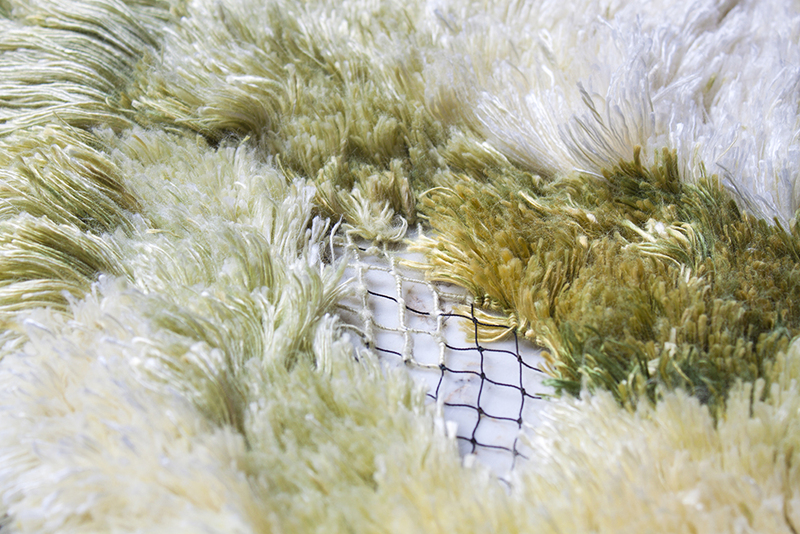 To continue the SEA ME collection, she also designed a conceptual rug where the fish leather is sown into a discarded fishing net. 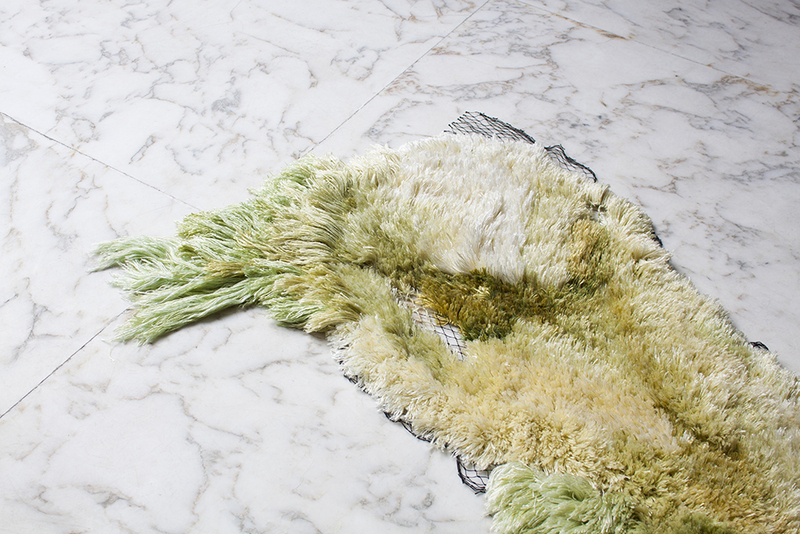 We are inspired by her way of looking at the textile industry and its sustainability issues!